When we talk about "literary styles" or "genre", we are simply talking about the ways in which you may express yourself to someone else. . When you talk to someone, you want that person to understand you. So, depending on who the person is to you (e.g., parent, child, friend, co-worker) and perhaps taking into consideration their age or level of education, you choose a way to express yourself that will make your ideas clear. In much the same way, the written word, or literature, is only effective when the writer states his ideas clearly and with consideration to the audience's capacities to grasp them. Under the direction of the Holy Spirit, the writers of the Bible chose their words carefully and arranged them to fit God's purposes. 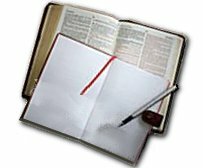 Studying how different writers express their ideas should help you in your Bible study. You will better understand something like "I am the vine, and you are the branches" (cf.John 15:5). You will be better able to see the main idea in a passage of Scripture. You will be able to understand more of the writer's purpose when you can identify his style or manner of expressing himself. God wants us to understand the truth He has revealed to us through His Word. Rather than have them write about surreal and obscure things, He moved the writers of God's Word to write about those things in reality that we're all familiar with. And, most often, they used language which is either literal or figurative, or sometimes both, to enable us to know what the Bible means by assigning the natural meanings of its words. Literal language reflects the essential or genuine character of something without interpretation or embellishment. It simply is the truth about a person or event. When we read, "Jesus went up a hill to pray" (Luke 6:12), we know this is literally what He did. When we read that He "ordered the fever to leave" a person and it left (cf. Luke 4:39), we know this is the literal truth of what happened. Figurative language uses words or phrases about something we know to help us understand something difficult to explain. For example, when we read a passage like, "he [John the Baptist] saw Jesus coming toward him, and said, 'Behold, the Lamb of God, who takes away the sin of the world!'" (John 1:29) or "Weep no more; behold, the Lion of the tribe of Judah, the Root of David, has conquered, so that he can open the scroll and its seven seals" (Revelation 5:5), we cannot interpret all the words literally. Obviously, Jesus is not a physical lamb, or lion, or any other animal. As the One who would be sacrificed for the sins of the world, however, He is like a lamb, which in the Old Testament was sacrificed for the people's sins. And as the One who has defeated Satan and conquered death, hell and the grave, He is like a triumphant lion and the fulfillment of prophecy (cf. Genesis 49:9-10 and Hosea 5:14). Thus, some of the language of the Bible is figurative or symbolic in meaning. It helps to explain a figurative truth. Figurative language helps us to understand spiritual things which we cannot see with our natural eyes. Remember, Jesus compared Himself to life-giving water, bread, light, and a shepherd. On one occasion He even said, "Listen! I am coming like a thief!" (Revelation 16:15) Such figures of speech help us to remember certain truths  about God, about Christ, and about ourselves. Christ often used figurative language when He talked to His followers. He told them parables [simple stories] to help them understand important spiritual truths. In Matthew 18:10-14, Christ told the story of the lost sheep. He compared us to sheep, and He wanted us to know that He is as concerned about each one of us as a shepherd is concerned about a lost sheep. Some figurative language uses symbols. Symbols are words that represent truth about something. The words "light", "salt", and "sheep" are symbols of Christians. We are like each of these things. Also, sometimes real objects can become symbols. In the Lord's Supper, for example, the bread and cup are symbols of Christ's body and blood. They remind us of Christ's death and suffering for our salvation. The writer uses the same or similar terms over and over to help fix an idea or image in the reader's mind. For instance, in 2 Corinthians 8:1-15, Paul developed the idea of Christian giving through repetition: "give", "gave", "helping God's people", "gave themselves", "special service of love", "be generous", "eager to help", "made Himself poor", "eager to give", "gift", and "help". The writer leads you up to a high point in a progression of details. For example: "that I may know him and the power of his resurrection, and may share his sufferings, becoming like him in his death..." (Philippians 3:10) Verses 1-9 lead up to the climax of Paul becoming like Christ in His death. Contrast is bringing together two opposites to compare and emphasize their differences (i.e., good and evil, light and dark, oil and water). Psalm 1 contrasts godly men, who are planted like trees and bearing fruit, with evil men who are like straw being blown away. In this example, we have the use of contrast (evil men and godly men), comparison (godly men bearing fruit, evil men being straw), and figurative language (trees, fruit, straw, blown away). Often, the Bible writers used turning points in a progression of ideas or events. These points are necessary to the particular outcome of a story or to the meaning of a passage. In the Book of Esther, for example, one of the main points is Queen Esther's winning the king's favor when she approaches him uninvited. Without his favor she could not have fulfilled her plan to help protect the lives of her people. Remember, the main point in this outline is Queen Esther’s winning the king's favor and putting into motion her plan to save her people and thwart Haman’s evil plot. The writer arranges ideas to show the relationship between a certain result [effect] and the reason(s) [cause(s)] leading up to it. He may begin with either the result or the reasons. For instance, "We always thank God, the Father of our Lord Jesus Christ, when we pray for you [result/effect] since we heard of your faith in Christ Jesus and of the love that you have for all the saints [reason/cause]". (Colossians 1:3-4) He repeats this idea later in verses 8 and 9, beginning with the reason and ending with the result this time. Sometimes a writer may combine two or more of these ways to organize their ideas, as in the previous example from Colossians 1:3-4 and 8-9. In these verses, Paul used both reasons-and-results as well as repetition to make his point clear to the readers. The Bible contains the history of God's activities and dealings with man. Thus, the Bible is a Spirit-guided written story of what happened in the lives of certain people. As we read about them, we can improve our own relationship with God by avoiding certain behaviors or by employing others. We can also strengthen our faith through what we learn from their struggles and victories. For example, when we read about the task God called Gideon to do and Gideon's struggle with fear (cf. Judges 6 and 7), or about Jonah's disobedience and how God dealt with him (cf. Jonah 1 and 2), we can learn to reverence God and to conquer our fears of other people or of failure. Throughout the Bible, God called or prompted certain men to speak directly to the people for Him. Some were prophets, some were not; but all were called on to speak on behalf of the God they loved and served. They declared God's will and purpose, both for immediate fulfillment and often for a future fulfillment. Some prophecies are not fulfilled yet. They predict events that will happen in the end times. These are primarily recorded in the books of Ezekiel, Daniel, and Revelation. When studying prophecies, it is helpful to begin with those events that have already been fulfilled, such as the coming of the Messiah and His suffering [see "The Major Messianic Prophecies Fulfilled by Jesus"], the enslavement of the children of Israel in Egypt and their eventual deliverance, people's reactions to Jesus, the pouring out of the Holy Spirit, salvation for the Gentiles, etc. The prophecies yet to be fulfilled are sometimes difficult to understand because they contain much figurative language. However, we need to study them to get a clearer picture of God's plan for us. The last 17 books of the Old Testament, many of the Psalms, and Revelation contain important passages of prophecy. Poetry is a form of writing that uses patterns in lines and rhythm to express deep emotion. While history tells of actual events or what man has done, poetry reveals what he thinks and how he feels  happy, sad, despairing, or joyful. Poetry often uses much figurative language and cannot be interpreted literally in the same way as history is. Therefore, when we read Job, the Psalms, Proverbs, Ecclesiastes, Song of Songs, and the other poetic passages scattered throughout the Bible, we need to watch for the use of figurative language. To give rhythm to their ideas, the Hebrew writers often related two lines of thought to each other. This is called parallelism. The relation could be repetition, contrast, or comparison. The main theme of the poetic books is emotion  how certain events affect us, how we feel about them. Song of Songs expresses marital love. Letters are easy to identify. They usually begin with a greeting, have a main message, and often close with a farewell greeting. The main body of the letter may sometimes be concerned with answering questions mentioned in someone else's letter. Thus, it is good to remember that letters are usually responses to specific needs and do not offer complete teachings on any one topic. The Apostle Paul wrote 13 of the New Testament letters, called "epistles". Several other men wrote the other eight letters. When we study all these letters and compare their teachings, we receive guidelines for our faith and life in Christ.